Manila, Philippines–April 11, 2019–The Department of Information and Communications Technology (DICT), the administrative entity responsible for planning, developing, and promoting the national ICT development agenda of the Philippines, and Cisco, a worldwide leader in technology, today signed a Memorandum of Understanding (MoU) to collaborate and strengthen the cybersecurity in the Philippines. Under the MoU, both parties committed to enhancing information and intelligence sharing on cybersecurity threats and incidents. The two also agreed to conduct workshops and facilitate the exchange of ideas to enhance the cybersecurity of Critical Information Infrastructure. DICT will benefit from the in-depth research from Cisco’s wide telemetry of threat intelligence and leverage the information to better protect the government and critical infrastructure in the Philippines against emerging cyber threats. Enhancing cybersecurity capabilities across the Philippines has been a top priority for the DICT. This has been exemplified when the DICT launched the National Cybersecurity Plan 2022 last May 2017. The Plan aims to: assure the continuous operation of country’s critical information infrastructure; implement cyber resiliency measures to enhance the ability to respond to threats before, during and after attacks; effectively coordinate with law enforcement agencies, and boost cybersecurity awareness among citizens. 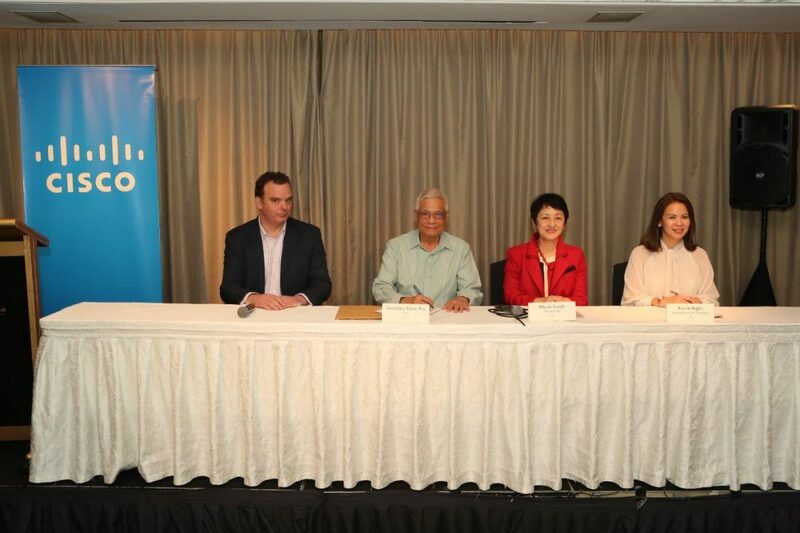 DICT and Cisco will collaborate on specific programs to build up cybersecurity skills and capabilities in the Philippines, with the aim of enhancing the capacity and sophistication of cyber threat defenders in the country. Cisco has been playing an active role on this front.